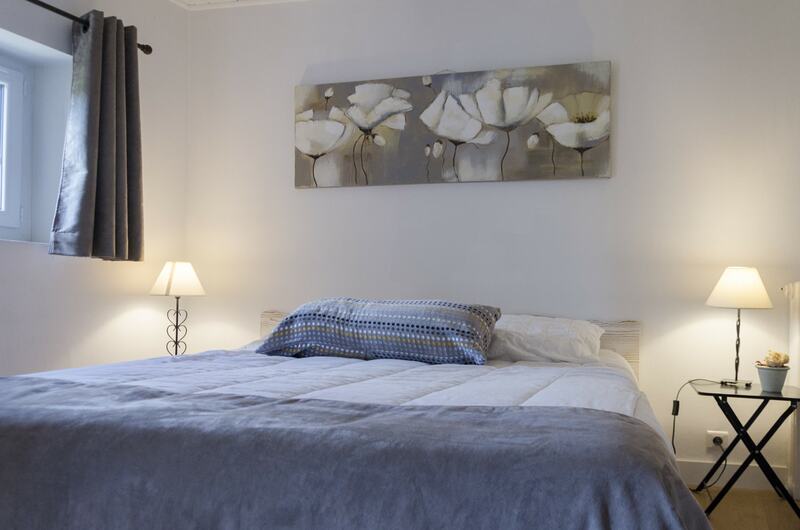 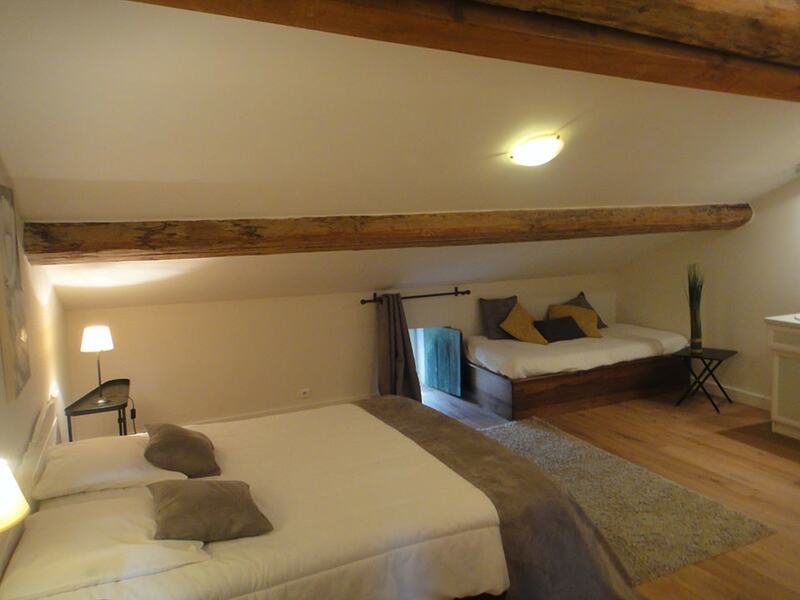 Apartment #10 contains two bedrooms with double beds (160x200cm) and another bedroom with two twin beds. Apartment 10 contains two sofa beds in the living room that can welcome four extra person. 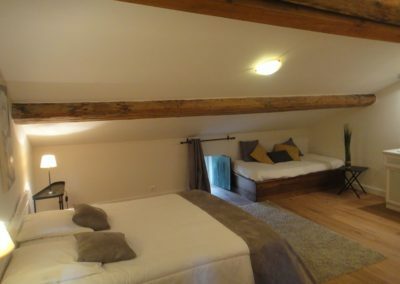 Apartment 11 contains one sofa bed in the living room. 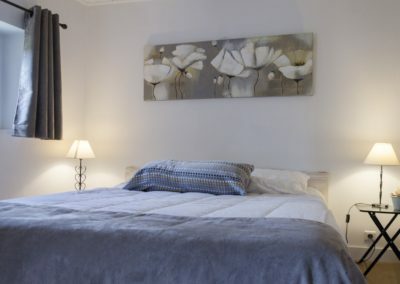 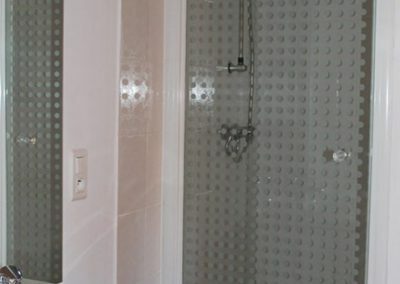 The kitchen of both apartments is equipped with a fridge, stove, oven, washing machine and all the necessary utensils to prepare and enjoy a meal at home. 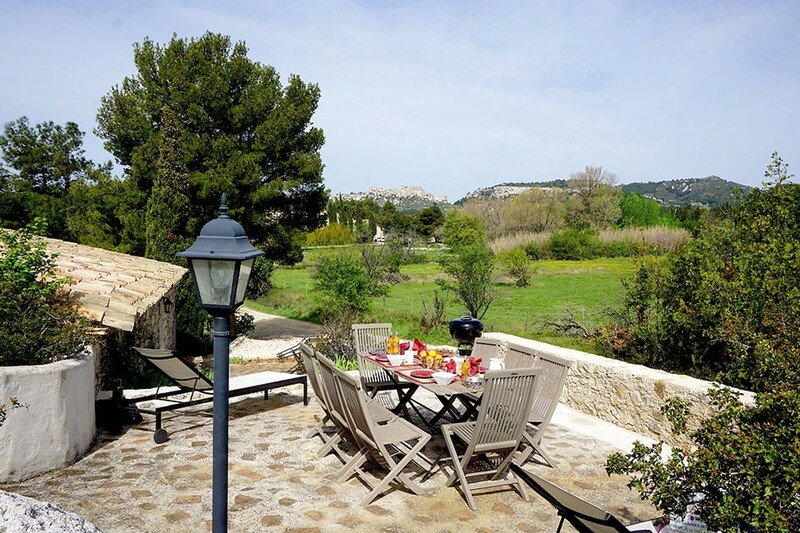 The terrasse of each apartment is private. 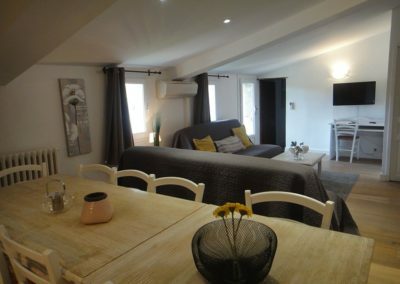 Television and Wifi included.Free parking. 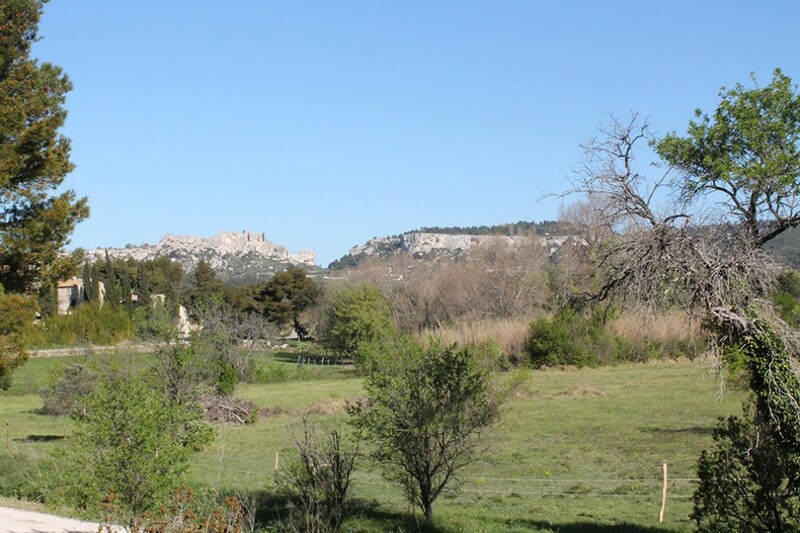 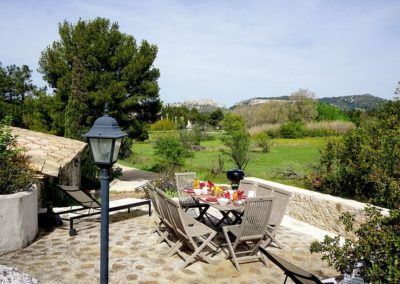 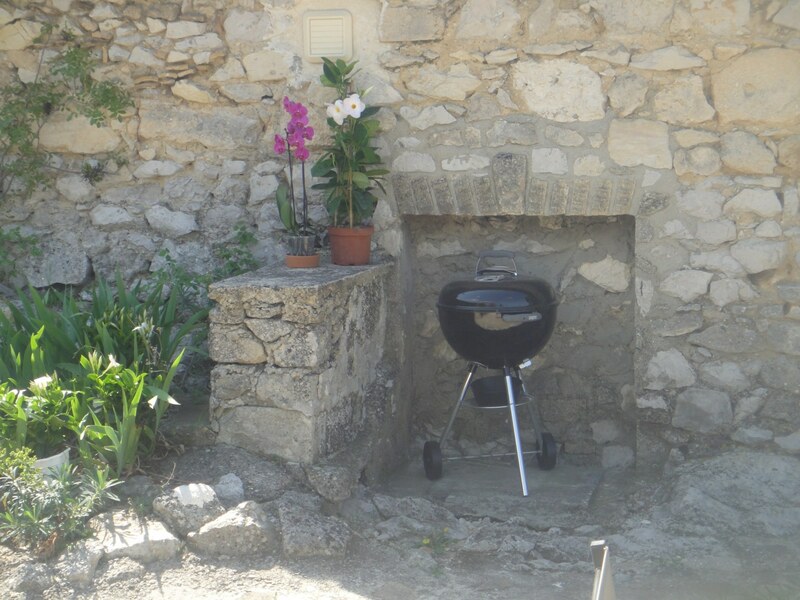 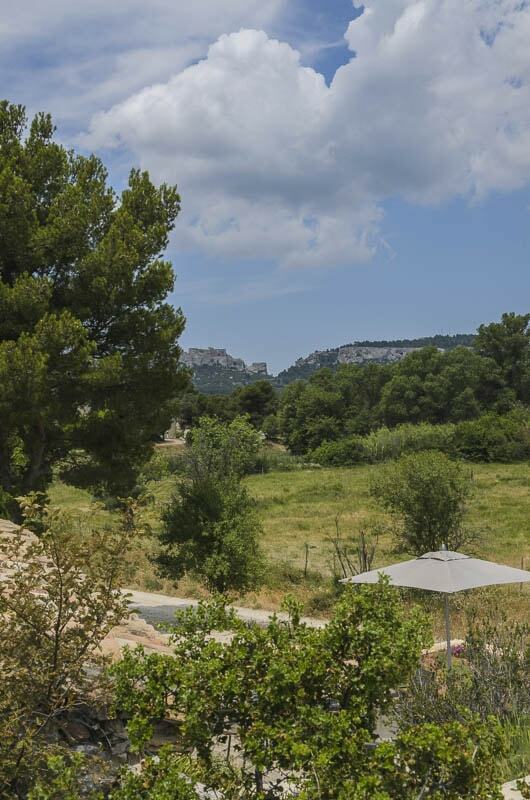 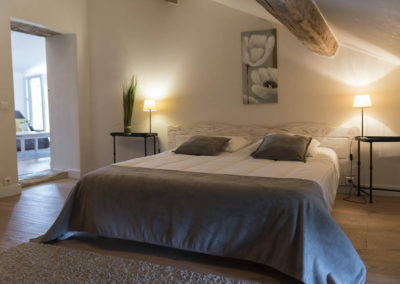 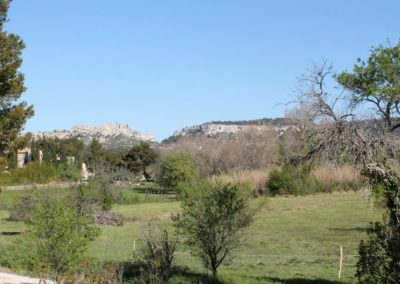 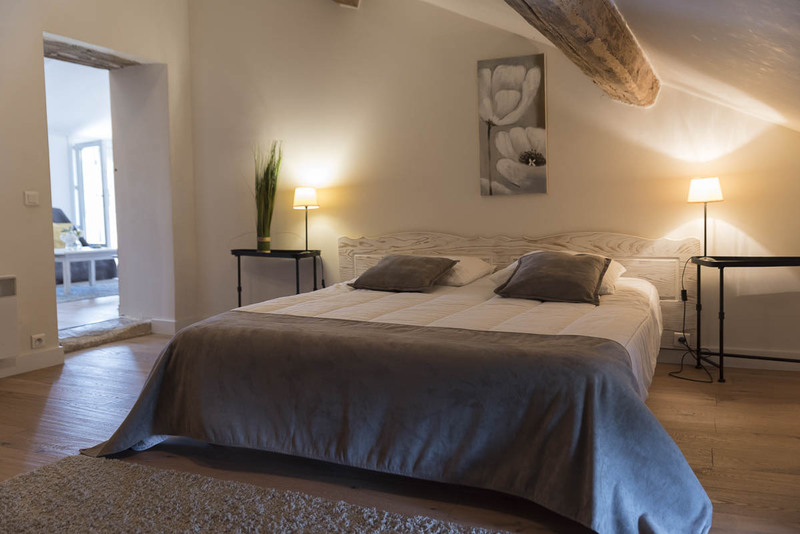 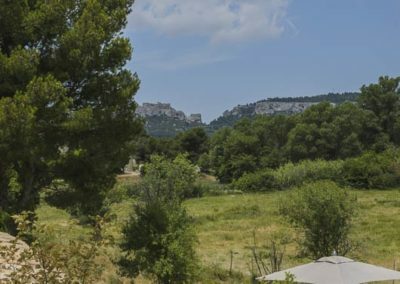 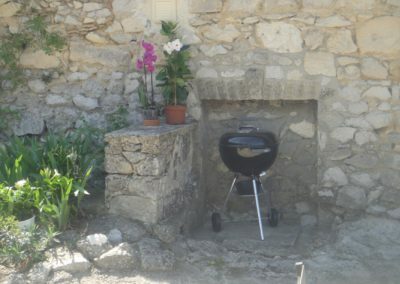 Apartment #10 is located inside the “Mas” and has beautiful view of the Baux-de-Provence castle.